Relief Ruler puts you back in control. 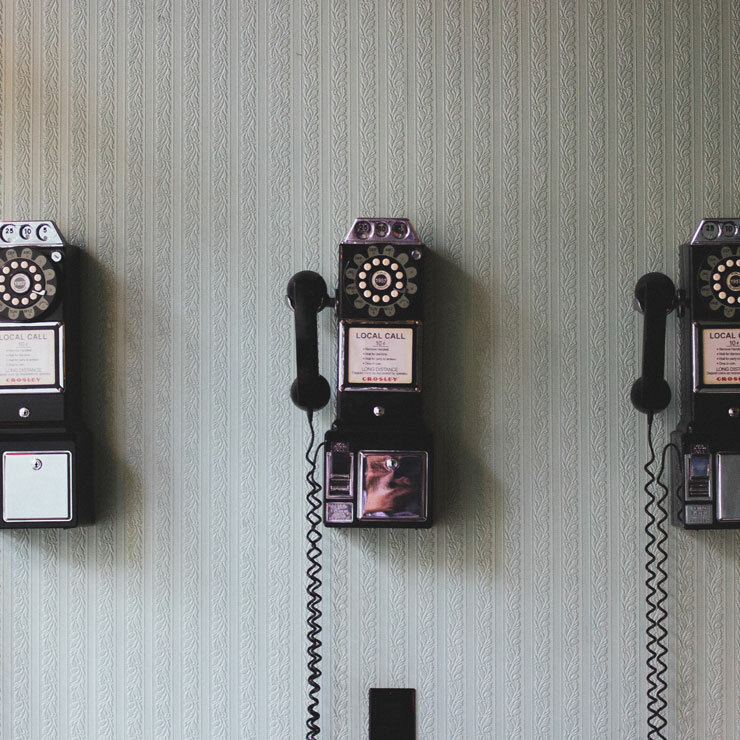 Take the hassle and stress out of booking relief teachers. Relief Ruler helps schools to connect with their existing relief teachers and identify new ones. 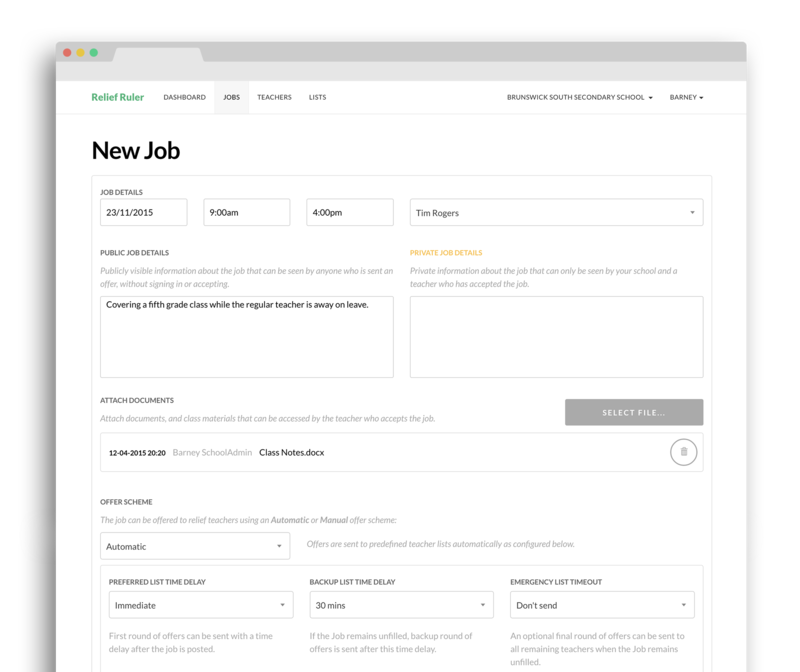 You can quickly send, manage, and track job offers, all in one convenient place. Relief jobs can be created in a matter of seconds and SMS notifications sent to appropriate teachers on a schedule that you have created. Setup for your school is quick and painless. After customising your categories (e.g., "Junior School"), you create a list of your regular class teachers. Each class teacher is assigned a category. Next, you invite relief teachers that you know to connect to your school. Once connected, you can assign each relief teacher to a "preferred" or "backup" list for any category. That's it. When a teacher calls in sick, you create a relief job, select the regular class teacher and supply some details. Relevant documents can be uploaded. Relief Ruler then sends SMS notifications to the preferred list for the category, and later to the backup list if the job remains open. Teachers receive an SMS with a link which they can use to accept the job. Relief Ruler is free for relief teachers & a low annual cost for schools. If you're tired of frantic phone calls at 7.00am, Relief Ruler is the product for you. Connect with schools on Relief Ruler to get notifications about upcoming relief work that you're interested in. When a school invites you to connect on Relief Ruler, you get a sign-up link, supply some details and that's it. You're in. Connected schools can send you offers for work, which you can view (to accept or decline) direct from your phone. 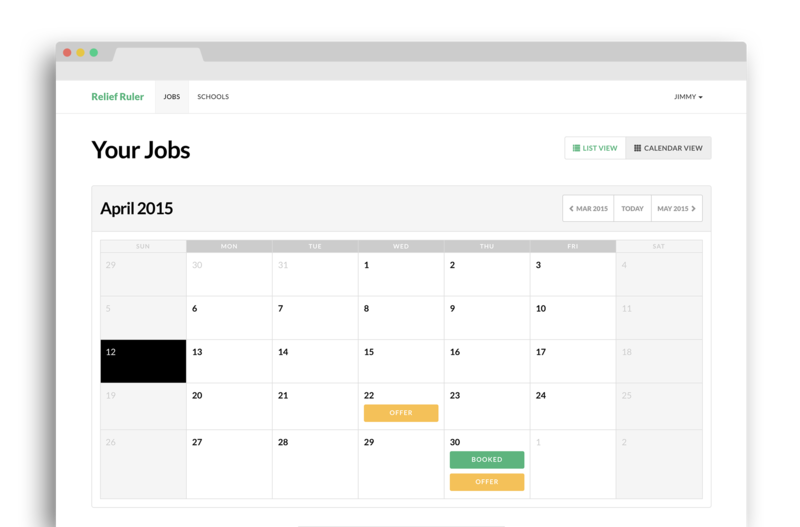 Your upcoming jobs and open offers are available at a glance in a calendar view. School-supplied documentation for the class can be downloaded easily. Like to know more about being a Relief teacher? Drop us a line at sales@reliefruler.com.au and we'll get you started on your way. Email support@reliefruler.com.au for account enquiries or support requests. We've learned a lot working with so many great schools. Get in touch and let us welcome you to the team. We are a company based in Adelaide, South Australia, providing school controlled digital relief management solutions. We are a team with many years of teaching, IT and business experience. Our combined expertise has allowed us to provide a customer-centric, cost effective and simple solution. Our goal is to remove the headaches associated with relief cover.